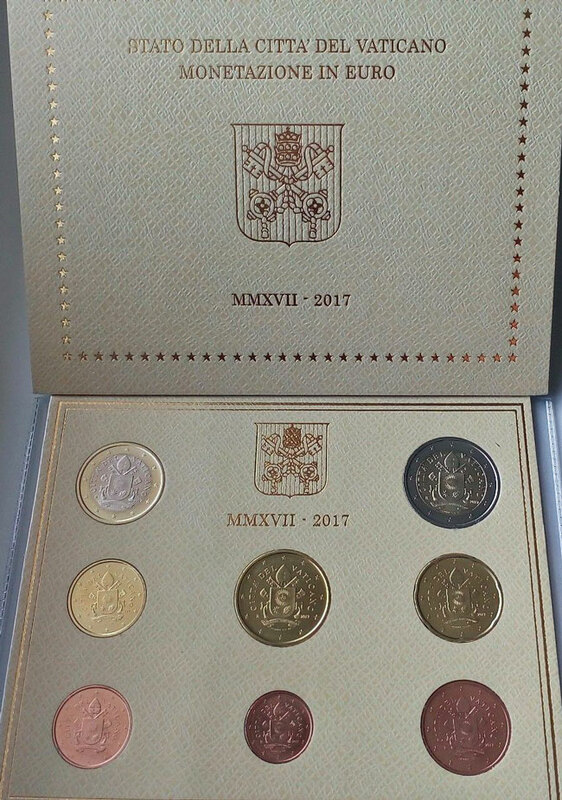 Vatican 2017 set of 8 coins: 1 and 2 Euro; 50, 20, 10, 5, 2 and 1 Eurocent in original Mint folder. First year of Pope Francis' coins to use his coat-of-arms in place of his image. News article from ANSA.it.